In addition to the intense shelling of the ATO forces positions and civilian objects (including with the use of heavy armaments), Russian-terrorist troops in Donbas are using sabotage and reconnaissance groups (SRG) en masse, on different sections of the front line. 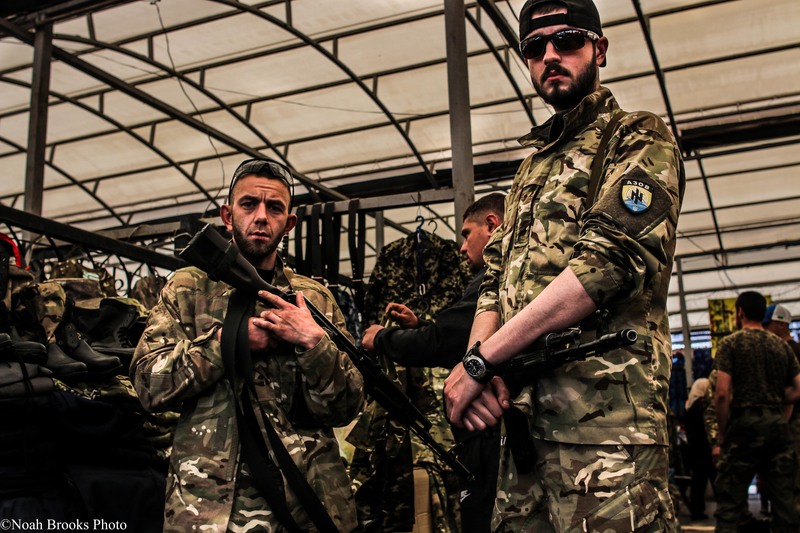 The SRG are staffed with military servicemen of the Russian Armed Forces, as well as local militants and Russian mercenaries who have undergone training in “training centers” under Russian Armed Forces instructors. The enemy’s SRGs are particularly active in the vicinity of Avdiivka, Mar’inka, the Svitlodarsk bridgehead, in the coastal areas, and in the Shchastya – Stanytsia Luhanska stretch. In addition to this, the enemy is widely using reconnaissance equipment (aerial drones, electronic intelligence stations, electro-optical equipment). Over the past 24 hours, terrorists continued carrying out “harassing” fire and purposeful fire strikes. In the area northeast of Horlivka (Kodema – Semyhirya), militants employed a battery of six 152 mm Msta-B guns to make two fire strikes on the ATO forces’ strongholds. Mortars were used to fire on the positions of Ukrainian troops near Novoluhanske – Zaitseve – Dacha. During one of the fire strikes, two militant infantry groups were spotted moving towards the ATO forces’ positions, through the “greenery.” One of the groups opened fire on the positions of the Ukrainian forces battlefield security, while the other attempted to covertly infiltrate the rear of the ATO forces’ stronghold. Both of these groups were stopped and thrown back by Ukrainian troop fire. Volunteers from Azov Battalion shop for boots in Mariupol. Photo: Noah Brooks. In the stretch between Avdiivka – Shumy, the enemy used mortars (82 mm and 120 mm), 122 mm artillery (three batteries operating), AGS-17 automatic grenade launchers, and ZU-23-2 anti-aircraft units mounted on transport platform. In the areas of Krasnohorivka – Lozove, and near the settlement of Opytne, the enemy used armored vehicles in addition to artillery (4 tanks and 6 armored combat vehicles), firing from tank guns from positions that were spread out, equipped, and camouflaged. The maneuvers of enemy infantry groups in the “greenery” were spotted in the vicinity of Mar’inka and Krasnohorivka. Units with 82 mm mortars and AGS-17 grenade launchers were recorded transferring to this area. 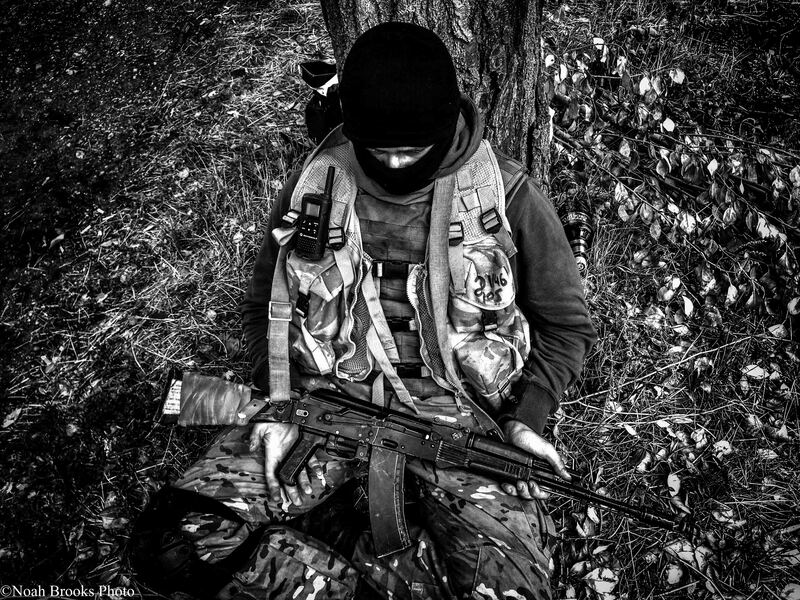 Terrorists continue shelling the ATO forces’ positions near Pavlopil, Chermalyk, and Orlivske. In these areas, militants mainly use 120 mm mortars; strikes from 122 mm artillery and BM-21 Grad MLRS were also recorded. The IR group’s network in this area reports the presence of a powerful militant artillery group, which includes units operating 122 mm cannon artillery, 152 mm 2S19 Msta-C self-propelled guns (six guns), and a battery of BM-21 Grad MLRS. Every day, the enemy uses no more than one or two artillery units from this artillery group, while other units remain on camouflaged positions. Near the settlements of Starohnativka, Talakivka, Hranitne, and Berezove, the enemy continued carrying out harassing artillery fire during the past 24 hours, and made purposeful powerful artillery strikes on the positions of Ukrainian troops. The enemy mainly used 152 mm artillery; strikes from BM-21 Grad MLRS, 120 mm mortars, and 122 mm artillery were also recorded. The enemy continues transferring reinforcements to the vicinity of Novolaspa and Starolaspa. Over the past 24 hours, the terrorist battalion already concentrated in this area was joined by a reinforced infantry company (seven armored combat vehicles, including two BMP-2, MT-LB, and BTR-80 armored personnel carriers), and a tank platoon (4 tanks). Several militant groups operating BM-21 Grad MLRS (2-3 units in each, up to 10 systems in total) were spotted maneuvering. These groups had previously fired on the settlements of Opytne, Vodyane, Pisky, and the Kyivskyi district of Donetsk. Reinforcements were recorded arriving for the militants’ artillery group in the “Horlivka Garrison.” Additional three D-30 howitzers, escorted by two BTR-80 APCs were transferred to this area.